A.J. Michaels offers several financing options to fit your residential or commercial needs. Along with providing a practical solution for your home or business' HVAC, Plumbing, and/or Home Performance needs, our Estimators can provide you with a financing plan tailored to you. Ask us about the A.J. Michaels Energy Loan that offers no payments and no interest for 90 days on a new HVAC system purchase! 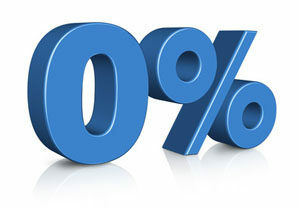 We offer 0% financing up to 60 months on qualified purchases. We also have low interest options for up to 11 years. In addition we are a partner in many state sponsored loan and grant programs, many of which we've helped influence and develop and offer a special leasing program for churches. Whatever your payment desire is, A.J. Michaels will do our best to qualify you for the right program. Our professional estimator will evaluate your needs and explain all of the various programs to you, and, best of all, we do all the paperwork.